Keen to move house but struggling to sell your property? You're not alone. Many homeowners in the UK have become so-called 'accidental landlords' as a result of the unstable housing market. We take a look at everything you need to know if you're looking to do the same. Not every landlord is in the property business by choice. In many cases homeowners find themselves with little option but to rent out their home because they struggle to find a buyer. Circumstances often change, resulting in the need for a house move. Homeowners may decide to move in with a new partner. A job opportunity may require moving to a new location. A new baby may mean your current home becomes unsuitable. The natural next step would be to sell up and move on but unfortunately that’s not always as easy as it sounds. The housing market has been somewhat unstable in recent years and as a result some properties have stayed on the market for much longer than their owners would have liked. Rather than staying put and hoping for a sale, many homeowners decide to turn their home into a rental property, using the rent to pay the monthly mortgage repayments and freeing them up to make their next move. These landlords who find themselves in the market not necessarily through choice but rather through necessity are known as accidental landlords. Will I need to change my mortgage to rent out my home? The first thing you’ll need to do is contact your mortgage lender to make them aware of your situation. If your lender is willing to grant you this it could be a good solution if you believe the local market will have improved in a year’s time and you intend to put the house up for sale again. It’s worth noting however that the lender does not have to grant you the Consent to Let. 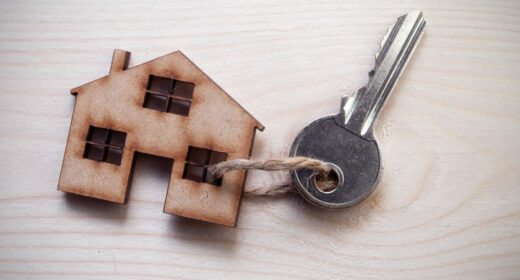 A more long-term solution is to switch your residential mortgage to a buy to let mortgage. This is relatively straightforward however, depending on your current deal, you may be offered a lower loan to value (the amout of money the lender is willing to offer you compared to the cost of the property). You may also face an arrangement fee and the rate of the mortgage may differ from your current rate. Speak to our fee free mortgage brokers at London & Country to discuss your options. Buy to let mortgages are not regulated in the same way as residential mortgages as landlords are considered ‘professionals’ and therefore need less protection. This means affordability assessments are not as stringent. However, as a result of new legislation introduced in March 2016 a new tier of regulation called consumer buy to let was introduced. This regulation is specifically aimed at accidental landlords and ensures they have the same protection as borrowers seeking residential mortgages. This means criteria will be tighter. Will I pay income tax? In the past landlords have been able to claim tax relief on the mortgage interest they pay on their mortgage repayments. They would only pay tax on the profit they made and the amount they’d pay depended on which tax band they were in. However, this has recently changed. Landlords now have to pay tax on their entire rental income (not just the profit) and they are only able to claim tax relief at a rate of 20% – regardless of what tax band they’re in. A landlord in the higher tax band, therefore, will pay tax on his rental income at 40% or 45% but will only be able to claim 20% back as tax relief. Standard home insurance won’t cut it for a rental property so you’ll need to contact your insurer or financial adviser and explain the situation. Depending on the policy you take out, landlord insurance should cover you for damage to the property, malicious damage (if your tenants leave the house in a less than perfect state!) and loss of rent. As a landlord you’ll have certain legal obligations that you’ll need to adhere to. Under the Immigration Act 2014 landlords must check that their tenants have a legal right to rent in this country. This means checking they have the necessary documents to prove their eligibility to be in the UK and to rent here. A list of the acceptable documents can be found at Gov.uk. Failure to undertake these checks can result in a fine or even a jail term. All deposits you take from tenants must be kept in a government-backed tenancy deposit scheme. There are three you can use – MyDeposits, Tenancy Deposit Scheme and Deposit Protection Service. You will be responsible for ensuring the property is safe for your tenants. This includes getting a registered engineer to carry out a gas safety check on each gas appliance and providing a copy of the safety check record to the tenants. You’ll also need to follow fire safety regulations (including making sure any furniture is fire resistant) and make sure all of your electrical fittings are safe. Depending on where about your property is located you may have to purchase a license. Landlord licensing schemes are in operation in various locations across the UK (and throughout Wales). The licenses are proof that the property is up to standard – and you’ll have to pay for the privilege of having one. Prices vary depending on location. Perhaps one of biggest challenges accidental landlords face is letting go of the emotional attachment they have to their property. It’s one thing to sell up and move on but watching someone else move into the house you’ve called home can be tough. If you’re offering your property as furnished, think carefully about what furniture you want to provide. Remove anything valuable or sentimental – aside from the fact they’re at risk of damage it can be off putting for tenants to rent a property that is filled with someone else’s belongings. If you have any repairs you’ve been meaning to get round to, take care of them before letting the property out. Chances are you’ve already done this if the property has been on the market but if you think your property could benefit from a mini makeover to ensure it achieves optimum rent now’s the time to do it. The answer to this depends on whether you meet the eligibility conditions to be entitled to relief (things like.. is the room you are renting out furnished and is it within the family home where you normally reside). Do have a look at out guide about: Make money from your home: renting out your spare room for some more guidance on this. Could I claim tax relief for my rent if I let my property and rent somewhere else?